Ask 5 bakers what their secret to a flaky pie crust is, and you will likely get 5 different answers. Some swear by butter, some by lard, some add vodka to their crust, etc etc. I have a two-part answer. Flaky secret number 1? Shortening (Crisco). Flaky secret number 2? Vinegar. I know, I know, and no, I swear you can’t taste the vinegar 😂 but it does prevent the formation of gluten (which would create a tougher crust). 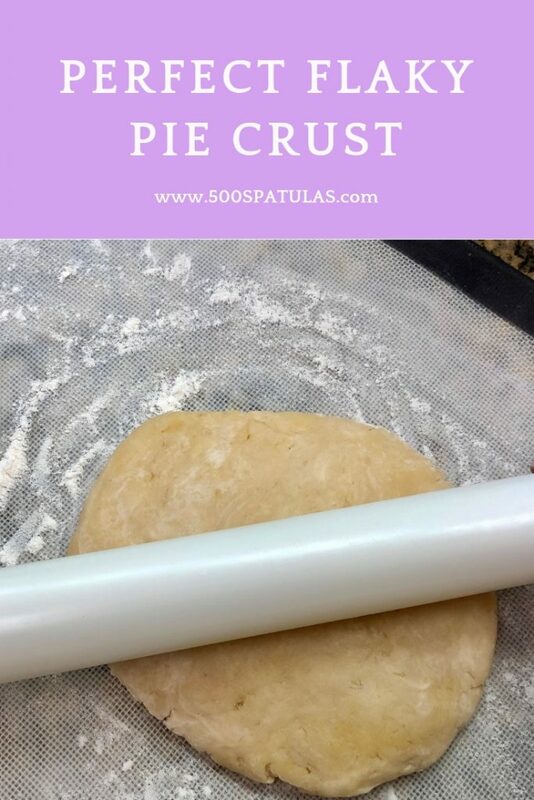 Without further ado, I’m thrilled to share my Perfect Flaky Pie Crust recipe. 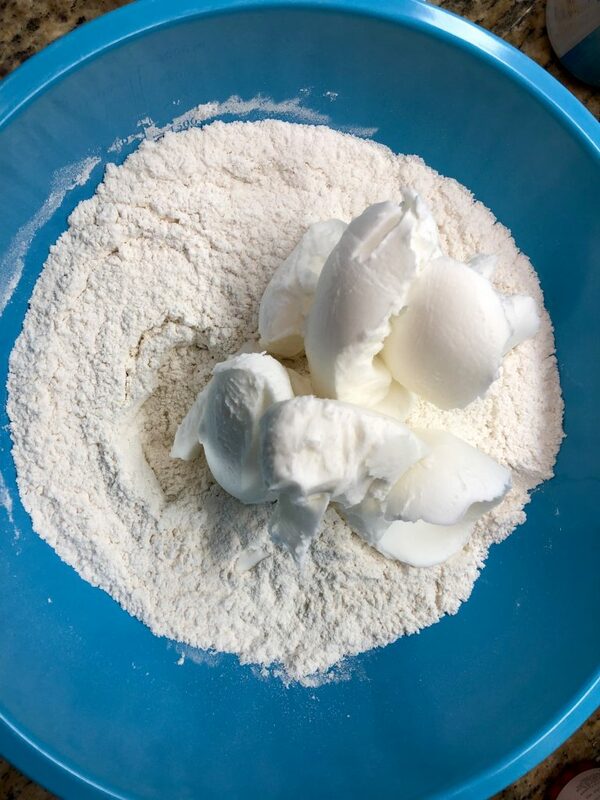 Add the flour to a large mixing bowl. 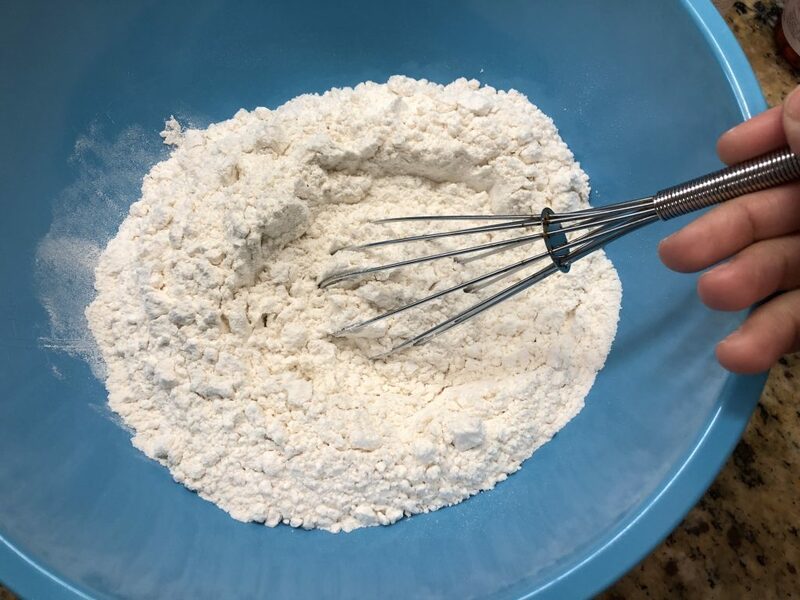 Whisk the flour to smooth any clumps. Add in the crisco and use your hands to crumble the crisco and flour together. Imagine you’re giving someone a shoulder massage–that’s basically what you’re doing with your hands. 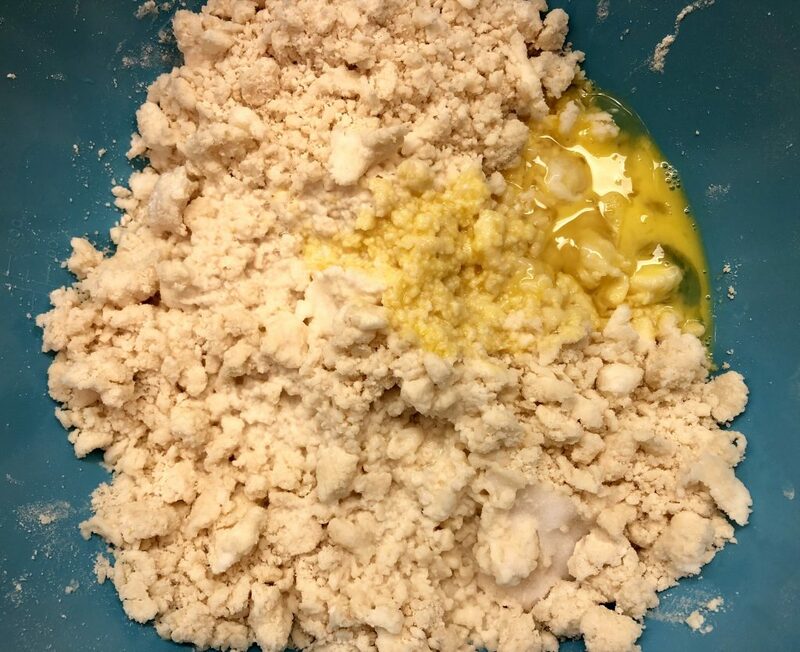 Add the egg, cold water, vinegar, and salt into the flour mix. Use your hands to bring the dough together. If your dough is very wet, add more flour, a bit at a time. This will largely depend on the humidity when you make it. The dough will be tacky. 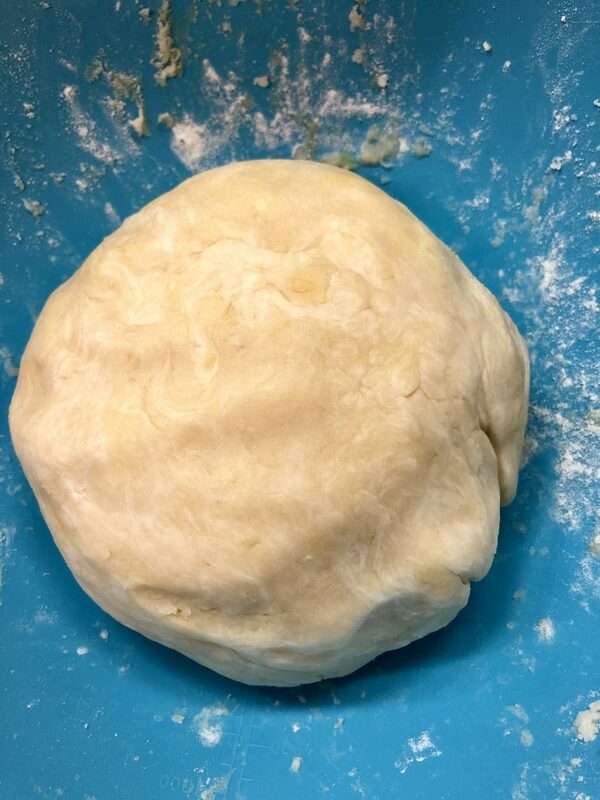 Divide the dough in half and form each half into a round disk. 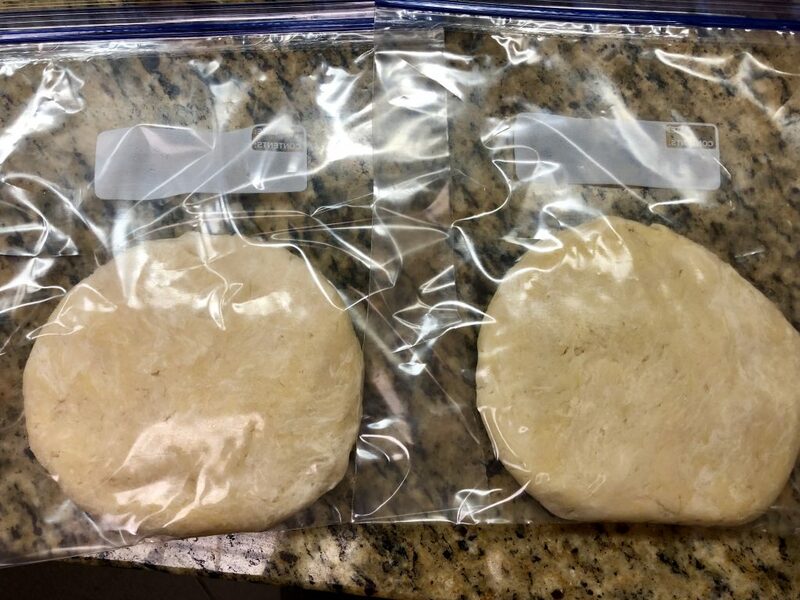 Put each disk into a large ziploc bag and refrigerate for 4 hours. Roll out on a floured mat or surface. 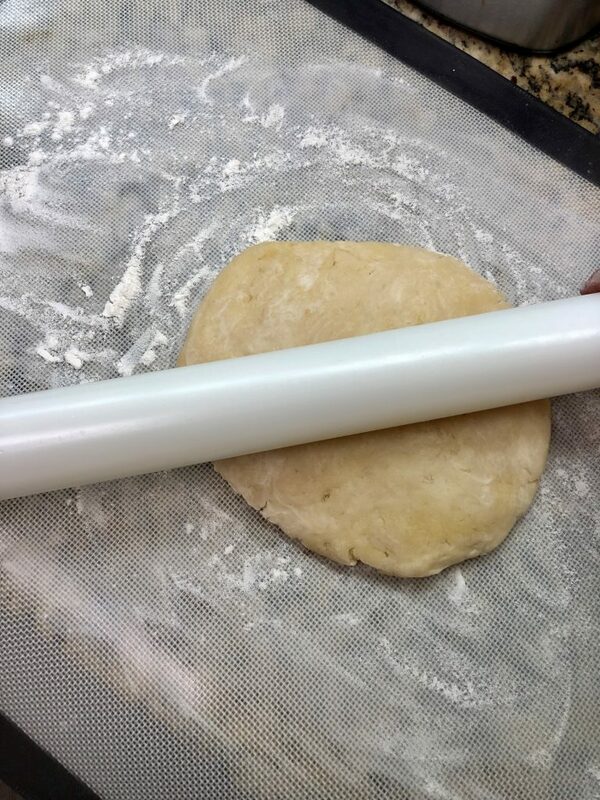 Roll from the middle out, until the dough is 1/4″ thick. If the dough begins to stick to the mat or rolling pin, add a bit more flour to the mat or rolling pin. 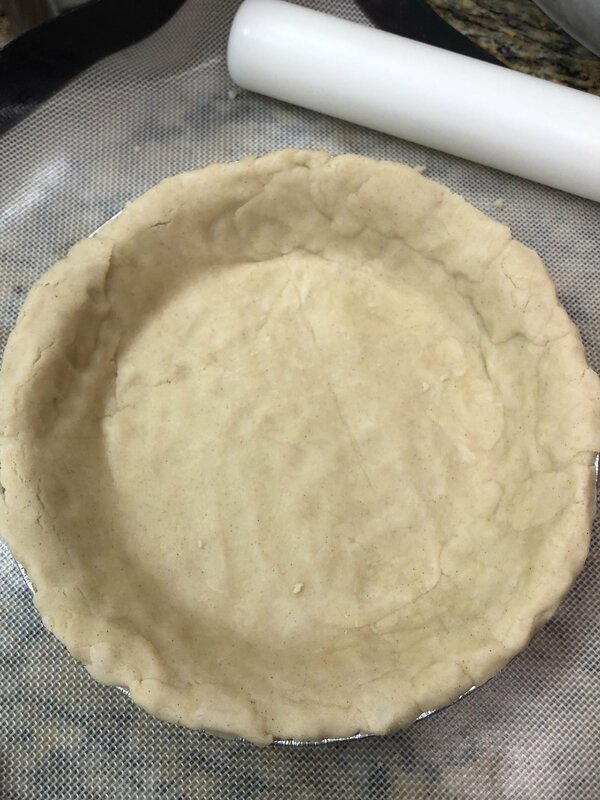 Transfer the crust to a pie plate and trim the excess. If you get little cracks, you can use your fingers to push it back together, not to worry! 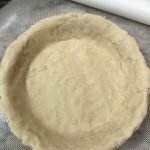 You can either use the second crust for a separate pie (you can also freeze it), or as a top crust. Beat the egg in a small bowl. Add in the water and beat well. 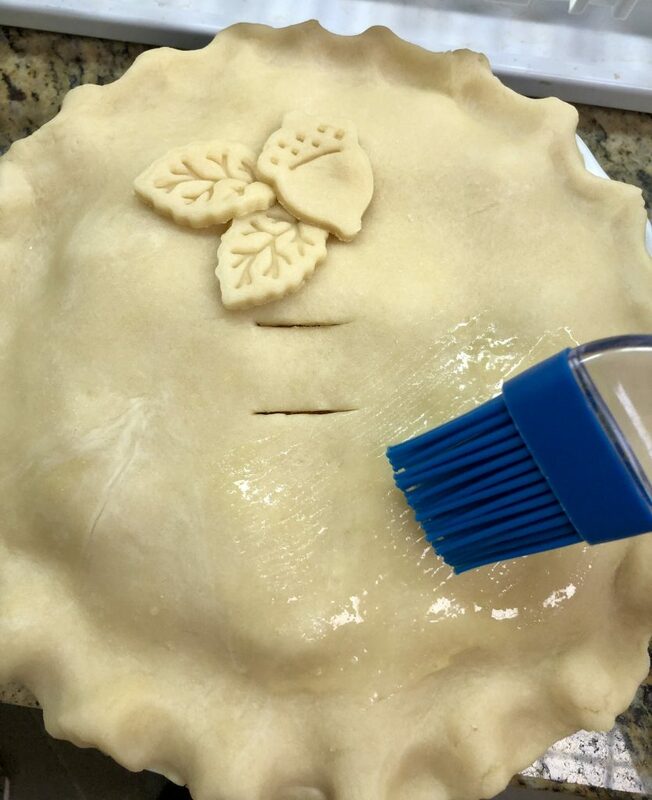 Use a pastry brush to lightly coat the top crust or the edges. Add the flour to a large mixing bowl. 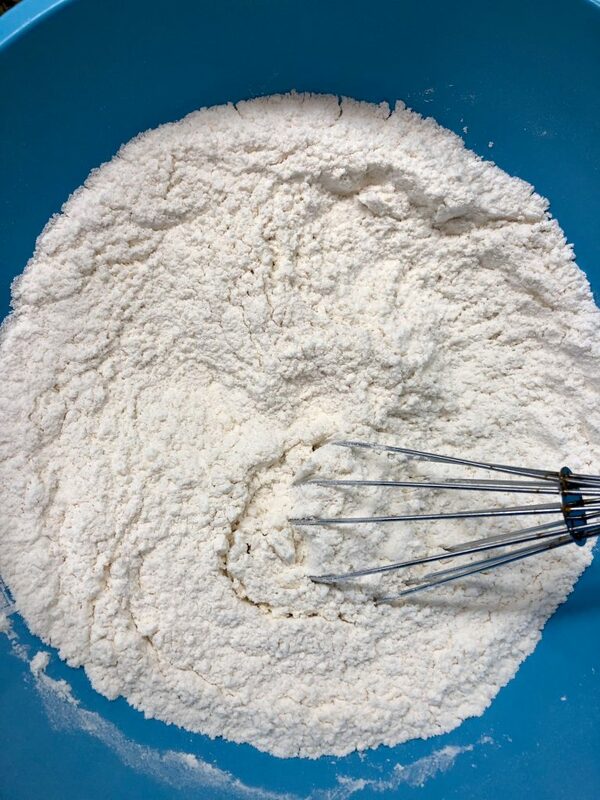 Whisk the flour to smooth any clumps. Add in the crisco and use your hands to crumble the crisco and flour together. Imagine you're giving someone a shoulder massage--that's basically what you're doing with your hands. 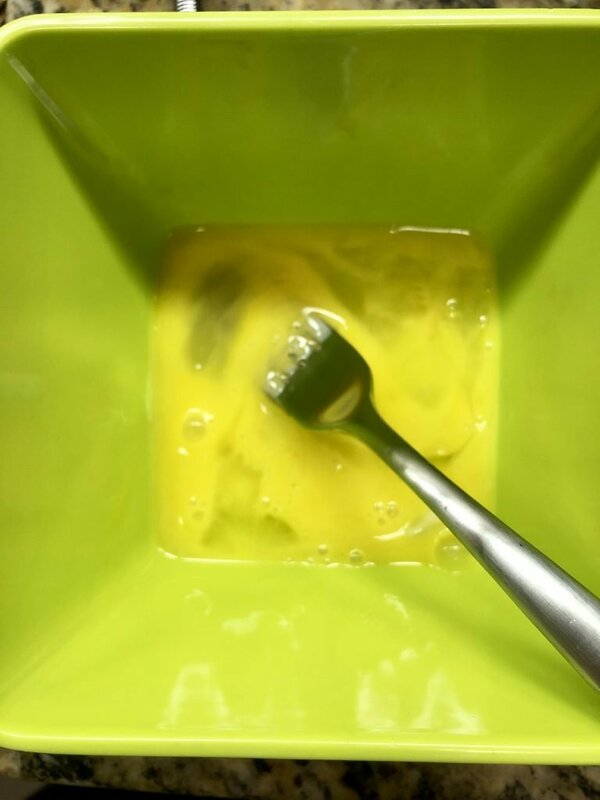 In a small bowl, lightly beat the egg with a fork. Add the egg, cold water, vinegar, and salt into the flour mix. Use your hands to bring the dough together. If your dough is very wet, add more flour, a bit at a time. This will largely depend on the humidity when you make it. The dough will be tacky. Roll out in between two pieces of parchment. Roll from the middle out, until the dough is 1/4" thick. 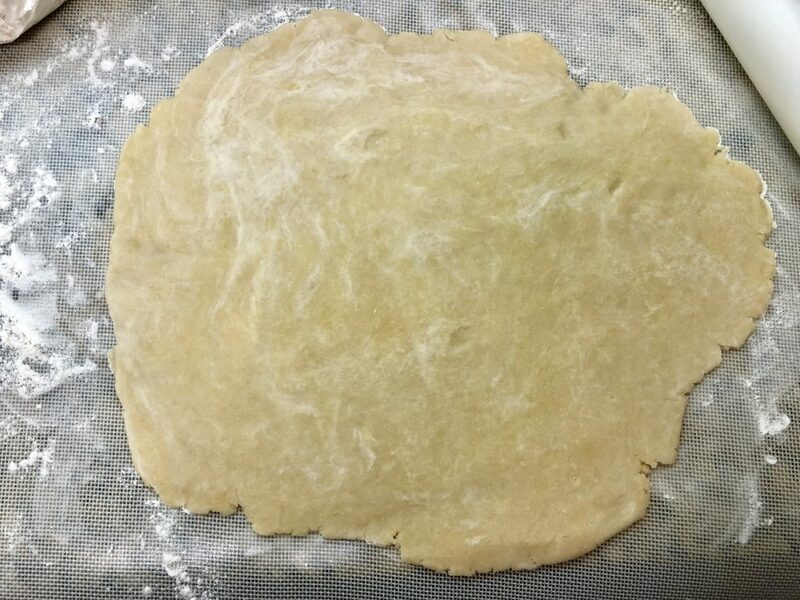 If the dough begins to stick to the mat or rolling pin, add a bit more flour to the mat or rolling pin. Transfer the crust to a pie plate and trim the excess. 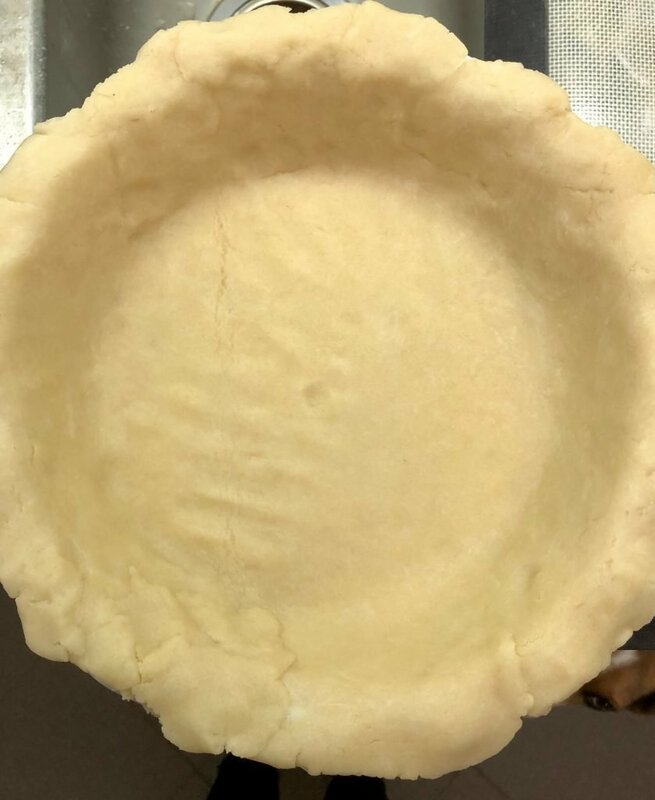 You can either use the second crust for a separate pie (you can also freeze it), or as a top crust.